One of our next tasks in the new house is sorting out the lighting. When we moved in we realised quite a few of the lights and switches weren't working, and various things need replacing, so we've got an electrician booked in for early November. 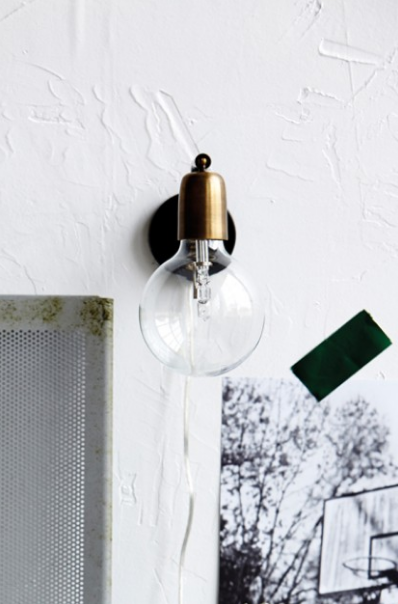 In the 'garden room' there are a couple of seriously ugly wall lights that don't work, so I've been on the hunt for something lovely to replace them, as well as a small entrance hall one. What's your fave here? And do you find wall lights a tough one? Once we get our new ones up I'll share which we went for!